FOG-N - Brent (Prussians) played Kit (British). Andrew played Brett in the Eylau scenario, as did Kendall and Philip. FOW - Rob played a couple of games using a German army, first against Mike's Germans and then agains Steve's Rangers. Today was the big Waterloo 200th anniversary refight. A feast of crows - Saga game at NICon 2015. Thames hosted its first ever North Island convention. There were lots of small competitions including 25mm DBMM, 15mm FOG Napoleonics, Flames of War, Malifaux, Saga, and others. Alan and Rob played in the Saga competition, with Rob winning first place with the Skraelings. In the Field of Glory Napoleonics competition, Brett took first place, Kit was second and Kendall third. Lawrence's army won the Best Painted Army award. Next year NICon will be held in Hamilton. The victorious Tyroleans at NICon 2015. DBR. 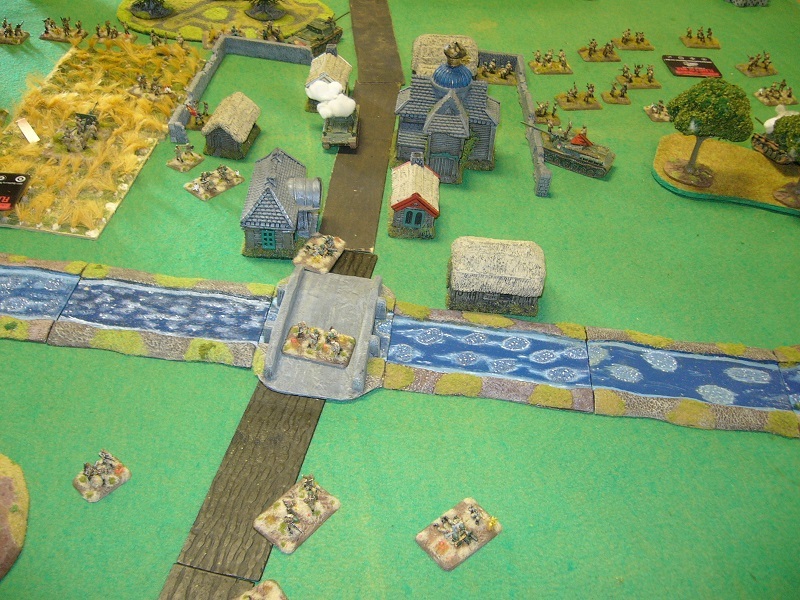 Grant and John had a 25mm early period game with lots of pikes and gendarmes. Kings of War. Alan's Forces of Nature fought Rob's Abyssal army. Saga. Alan, James and Rob finished the day with a three-sided Saga battle. There was lots of FOG-Napoleonics happening at the club today - practice games for NICon and the Melbourne tournament, plus some playtesting of the Version 2 rules. Rob (Poles) beat Philip (Netherlands) in the Hanau scenario. A Goblin horde fighting Kingdoms of Men elite pikemen. A new forum for Kiwi DBA players has recently been launched. NatCon was held at the James Cook High School. Rob played in the Early War FOW competition with the LRDG, and Alan played in FoG-Ancients. As usual we had several players in FOG-Napoleonics (Al, Andrew, Brett, Kendall, Kit, Mike, Philip, Shaun and Stu). Andrew won first place using a Russian army. There are some pictures of Stu's battles on the Napoleonic page. NatCon 2016 will be held in Upper Hutt. Rob and Alan had a game of Kings of War and then a Saga game between the Saracens and Skraelings. At the end of the battle there was just one Skraeling standing! There were several practice games for NatCon. Grant (Aztecs) played Mike (Spanish) in DBR. In FOGN, Philip (Anglo-Netherlands 1815) played Mike (French 1814) and Shaun (French 1812) played Al (Anglo-Portuguese 1812). Kings of War. 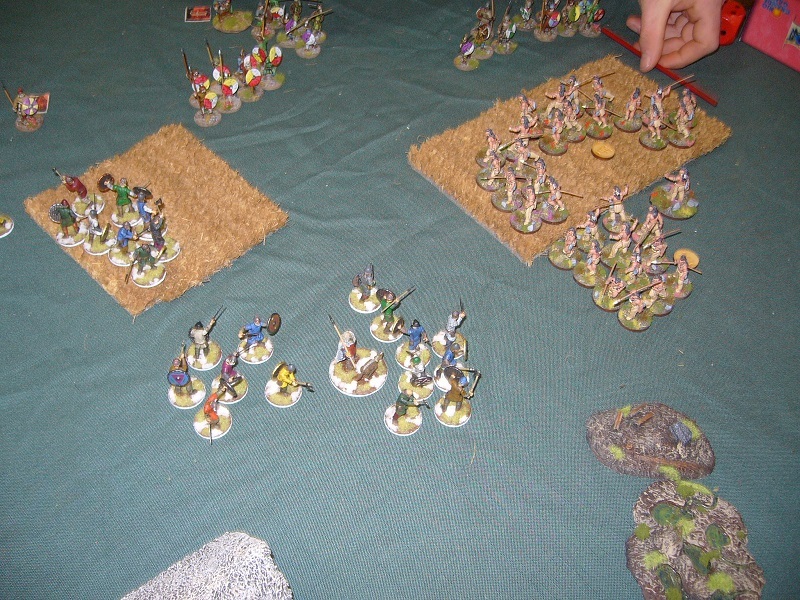 Philip (Kingdoms of Men) played Rob (Dwarfs) using the Beta version of the new rules. DBA. Grant and John had an Aztec v Conquistador game. A win to the Aztecs. Kings of War. 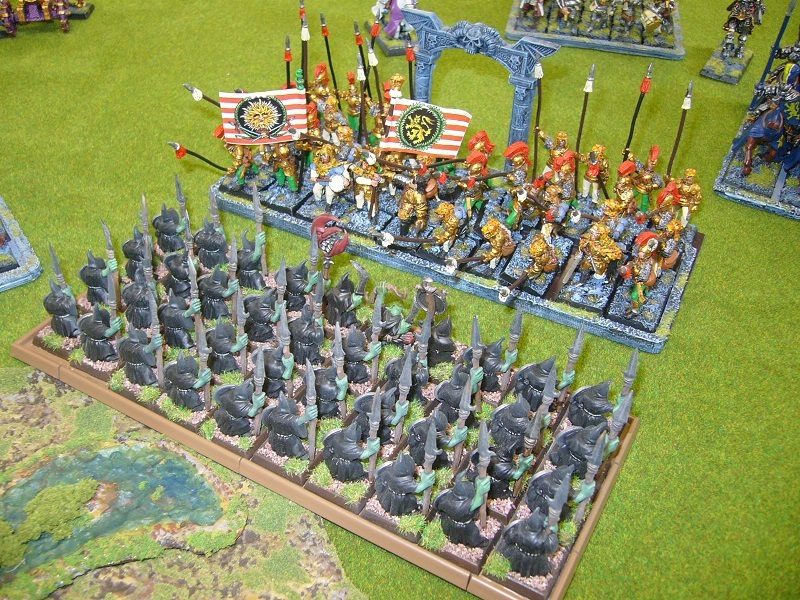 Alan's goblin army took on Rob's forces of Nature. Saga. Greg and John had a couple of Saga games. FoG-N. Lawrence (Anglo-Portuguese 1812) played Philip (Anglo-Netherlands 1815) in a drawn game, with the points advantage to Lawrence. Flames of War. Steve used his new American army in a game against Kit. The German Panzers defeated the US Rifle company in a Normandy battle. This year Battlecry was held at a new venue, the Remuera Bridge Club hall. We had players in the Flames of War, FOG Napoleonics and Moderns competitions. Lee took second place in the FOW competition, using a Puma company. In the Napoloeonics Kit took first place using 1815 British. Three games of FoG-N, getting ready for Battlecry coming up soon, and also some Flames of War. Al Donald won second place in the FOG Napoleonics competition using a Peninsula British army. Rob, Alan, Greg and others played SAGA.